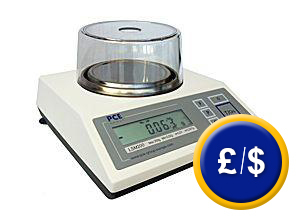 The laboratory/pharmacy balance meets weighing and verification requirements according to Class II balances - Pill counting and weighing for prescription. This pharmacy balance can increase pharmacy efficiency and patient's safety in small and large pharmacies – assisting with processing prescriptions by counting, weighing or compounding. Pharmacy balances is irreplaceable in processing compounds efficiently and accurately. It enables the pharmacist to quickly re-zero after the addition of each ingredient in a compound. A digital pharmacy balance ensures the correct addition of the amount of each item. To stay competitive and to differ from the big pharmacy chains many independent pharmacies focus on the art and science of compounding. Special compounding prescriptions allow people to work with their doctors to devise ways to make the process of taking medicine less problematic. Besides the usage in pharmaceutical industry, the balance is ideal for the usage in all production processes, where components are mixed (plastics, food, chemical industry, etc). 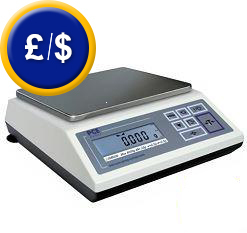 The LSM Series is legal for trade (verification), so it will meet weight and measuring requirements for a Class II balance. The display of the balance is made for easy viewing of weight results including an interface for connection to a PC. The optional software-kit allows to transfer data to the PC. This link shows the range of the balances of PCE-Instruments company. The calibration procedure includes laboratory calibration process and ISO certification with the customer's name and address. These certificates are comparable to NIST and UKAS certificates. They are accepted all over the world. The kit includes a software for transferring the weighing data to a PC or Portable and RS-232-cable. The transferred data can also be sent to other software such as Excel, etc. The standard software is in English (others are available in French, German, etc). The printer is used for direct output of weighing data. It will be delivered including RS-232-cable, USB-cable, net adaptor and 1 paper roll. Density determination is performed by means of Archimedes principle (buoyancy method), which is used by the density determination kit for balances. This method allows determination of the density of solids, viscous and pasty substances, as well as liquids.